If some of your devices stops working on the new Windows 10 of your computer, it could be super frustrating. When you check the specific device, you see this error saying Device not migrated. If your system files are damaged, your device could probably not migrate successfully. Go with the following steps to recover your system files. Type cmd in the search box from Start. 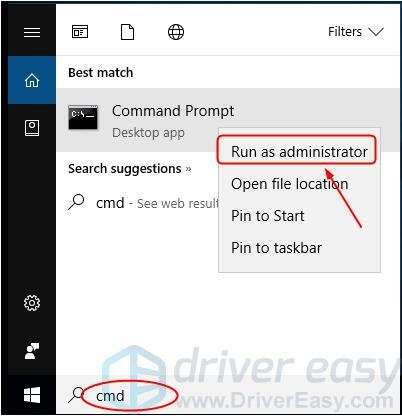 Then right-click on Command Prompt from the top to select Run as administrator. Type sfc /scannow and press Enter on your keyboard. Wait till Verification 100% complete(usually it may take 15-45mins). If any damaged file exists, the system file checker would repair them. Reboot your windows 10 to check to see if you could use the not migrated device before. This error could be also caused by an old or incorrect chipset driver. 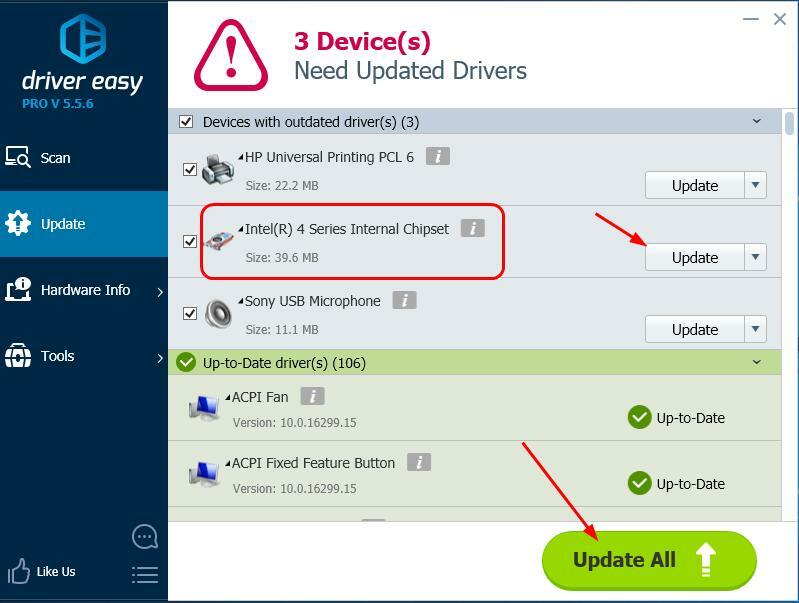 The steps above may resolve it, but if they don’t or, you’re not confident playing around with drivers manually, you can do it automatically with Driver Easy. Note: You can do this for free if you like, but it’s partly manual. 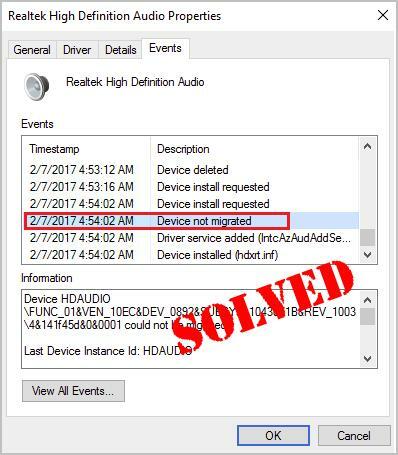 Device not migrated error could due to the incompatible device driver. 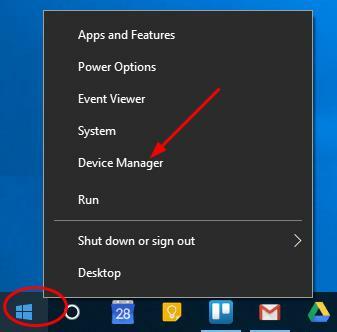 Right-click on the Start menu to select Device Manager. In the Keyboard section, right-click on your keyboard device and choose Uninstall. Reboot your Windows 10 computer. Windows 10 will automatically reinstall the keyboard driver for you. Check to see if you could use the not migrated device before. If your USB drive cannot be migrated, try plug it with different USB ports. 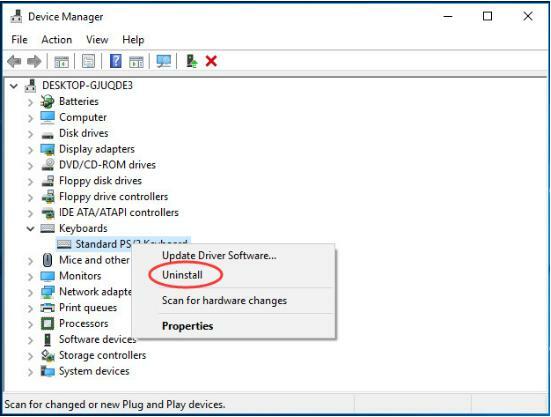 If it doesn’t work, then try to reinstall the USB controller driver as the same steps in Fix 3. 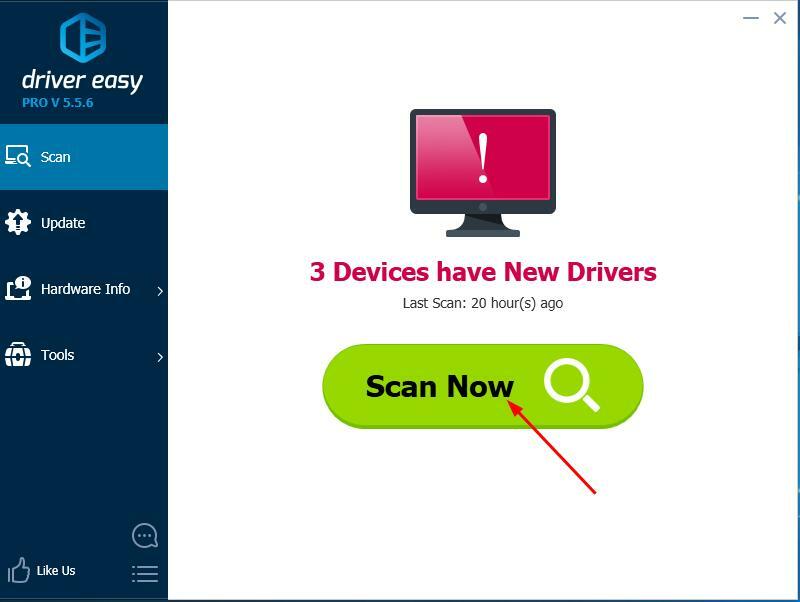 You also can try Driver Easy to solve various drivers problems. Moreover, if you use its Pro version, all your drivers would be updated in just one go — Update All. No worry to try it as you can enjoy 30-day money back and professional tech support anytime guarantee. And it allows you setting schedules to scan Windows 10 regularly.Why don’t give yourself a chance to to try on such a charming driver tool? TRY NOW! That’s all there is to it. Hopefully you’ve fixed Device not migrated error on your Windows 10 computer. Feel free to comment below with your experiences.